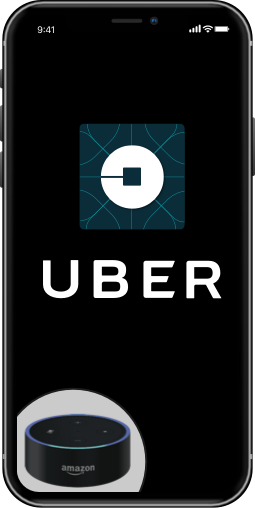 Uber, the most popular taxi booking application platform has made huge leaps since its introduction and has never looked back. This on demand taxi booking app platform has inspired several other industries to transform, leveraging online and on demand service marketplace platform development. What Next after a successful On demand Marketplace development like Uber? Considering the ever-growing popularity of Amazon Echo and Echo dot speakers, Alexa Skill development and integration will become a must thing for any enterprise or business. Travelling through a taxi was never easy before having on demand taxi booking apps like UBer, Ola, Lyft etc. 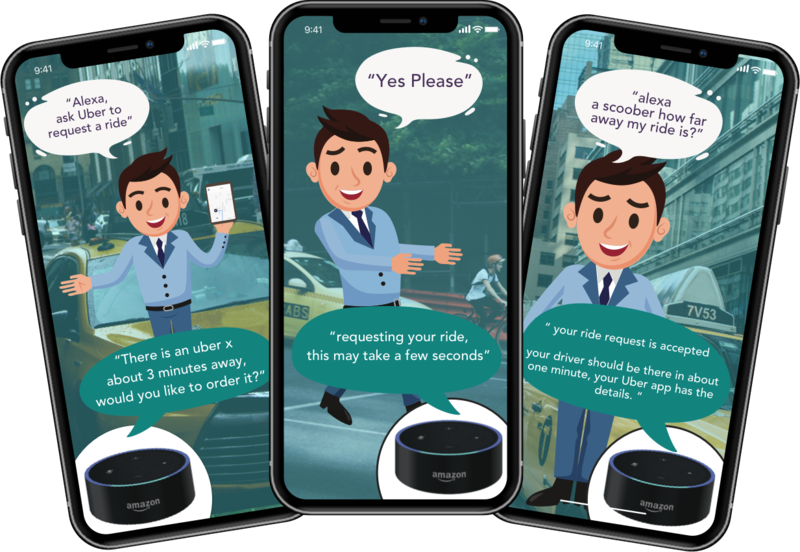 To make this experience even easier, voice first devices like Amazon Echo and Echo Dot can now help you in ordering a ride for your travel leveraging Alexa App and Alexa Skill Development. Let’s Nurture is a top ISO 2009:2015 certified Alexa App and Skill Development Company in India, having global operations serving clients with quality Alexa deliverables in the form of Alexa app and custom Alexa skills. Let us have a look at the features users will be able to avail through Alexa Skills in order to use taxi booking app. How Let’s Nurture can help with Alexa Skill Development and Integration? Alexa Skill development team at Let’s Nurture exactly know how to add voice to your Big Idea similar to a taxi booking marketplace. We are well stacked with bunch of expert Alexa skill developers who are enthusiastic in empowering businesses with Alexa skill development and integration. Regardless of industry or worker/customer demographics, organizations should be immediately incentivized to start experimenting with Voice First technology because it is the FUTURE. As with every other major technology paradigm shift, those who wait and watch will be behind the times while those who jump in will become innovators, seize market share, and define what the future of voice looks like. Because Alexa Skills are so new to the market, companies have a world of infinite possibilities in front of them. Not much has been done yet, so there’s a lot of room to become the first to provide a unique interaction for a specific type of business. Skills can be used as a way to obtain information about a company or product and to make an order or purchase. Top Alexa App and Alexa skill development company, Let’s Nurture, has already built and released Alexa Skills into the market, so we know how the platform and submission process works. Having experimented enough with Alexa Skills to build a knowledge base and best practices, Let’s Nurture is now exploring ways to leverage Alexa Skills for our client partners. So what are you waiting for? 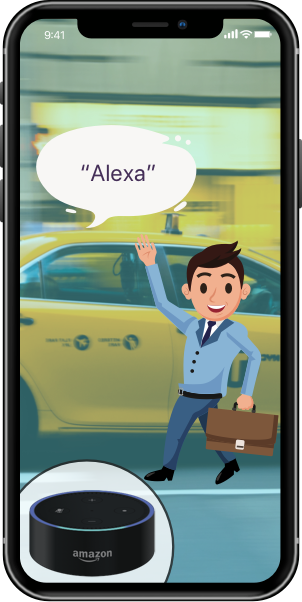 Add value to your taxi booking app leveraging Alexa Skill development and enables your users to use Voice First technology. How can I host my Alexa Skills for on demand cab/ taxi booking app like Uber? Do you have your own Alexa Skill Developers to build custom Alexa Skills for on demand taxi booking app like Uber? How can add value to my taxi booking app like Uber app project with Alexa Skills? Voice first technology is now being considered as ‘The Future’ as the potential it holds to transform any business is no more a secret. Competition is present as ever and hence, to beat the competition, it is imperative that you should leverage innovative technologies and implement to your existing or a fresh mobile app development project to gain maximum benefits. Your target audience is always looking for something unique and Alexa Skills certainly enhances user experience and is a blessing for differently abled people as long as on demand taxi booking app like Uber is concerned. Are there any prerequisites to integrate Alexa skills to my on demand taxi booking app like Uber? The prerequisites for any custom Alexa skill development project may differ from case-to-case basis. A script that includes commands (dialogues) for the skill, particular hardware (if any) for studying it and further development process. A product which can be a combo of hardware and software with the account details for basic set up, Client AWS account - developer access (for migrating the skill to client's account). Can you provide option to hire dedicated Alexa skill developers for Alexa skill development project for on demand taxi booking app like Uber? Have an !dea to develop Alexa Skills for a taxi booking marketplace platform like Uber? Submit your queries below.